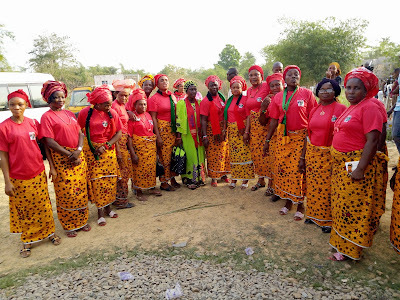 Home Biafra Featured IPOB BIAFRA ABAKALIKI: IPOB EBONYI STATE WOMEN DEPARTMENT OFFICIALLY INAUGURATED! BIAFRA ABAKALIKI: IPOB EBONYI STATE WOMEN DEPARTMENT OFFICIALLY INAUGURATED! 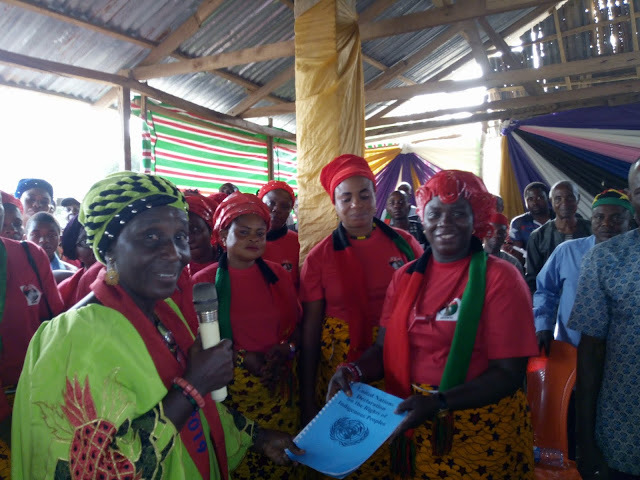 The women of the Indigenous People Of Biafra Abakaliki province on Sunday, 16th February 2019 officially inaugurated her women department. Thousands of the IPOB women from all parts of the province attended the inauguration in Abakaliki the Ebonyi state capital. The IPOB national women leader, Mrs Ukamaka Ejezie and her team equally honoured the inauguration, speaking with the women and other members of the family before she performed the inauguration, she expressed her joy over the high level of the women's performance in the struggle to restore Biafra, she encouraged them to remain strong saying that Biafra restoration is at hand and nothing shall stop it. The Ebonyi state coordinator Mazi Igwe Ogbonnaya equally showed appreciation to the women on their contributions towards the actualization of Biafra in the state. He made it known to IPOB and the entire world during his speech before the inauguration that Ebonyi state is hundred percent ready to do anything to get Biafra restored. 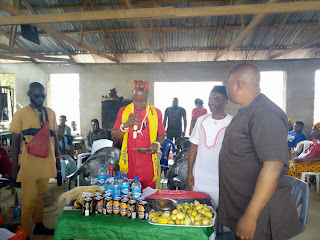 He urged them never to be afraid of anything or anybody, rather they should play with caution and be law abiding even in the quest to get Biafra restored. Many principal officers in the state including the state executives attended the magnanimous inaugural event. The event featured special songs, special addresses from various departments, including the leader of the IPOB women in the state, Evangelist Mrs Chioma Iwuala, during her keynote address, appreciated the efforts of those who works round the clock in making sure that the struggle moves on in the entire Biafra land and in diaspora as it ought to. still on the address she assured IPOB leadership that the women of Ebonyi state are ever ready to deliver anytime any day according to the IPOB leadership directives. Many women from the three senatorial districts in Abakaliki province including their leaders attended the inauguration.